The deportation airlifts are finally underway with President Donald Trump at the helm of the government. People who have been living within the borders of the United States for decades without any intention of becoming citizens are being picked up and dropped off in their country of origin resulting in guilt ridden stories from the mainstream media. 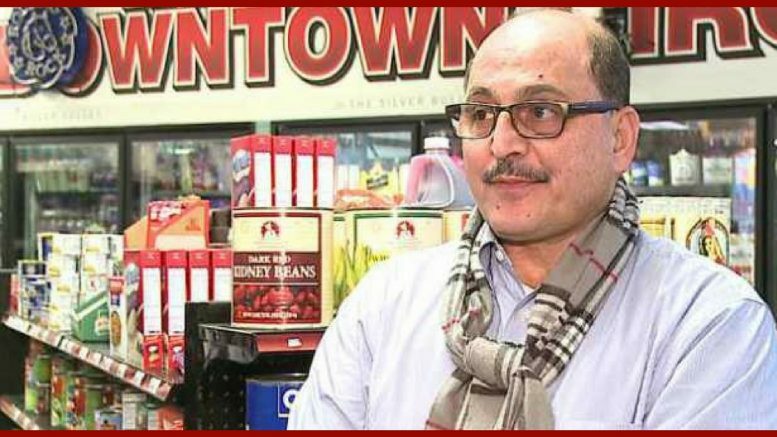 One such person returned to the land of his people is a Jordanian man, Amer Adi, featured by CNN in their effort to sell the American people on the idea that these aliens deserve to stay. His 94-year-old mother sat in a wheelchair at the arrivals gate, overcome with emotion as she waited for Adi. She hadn’t seen him in 20 years. As he walked out, his siblings, nephews and nieces broke out in cheers. But they were soon in tears. Adi fell to his knees, a broken man in his mother’s arms. “I have mixed feelings, very mixed feelings. I’m so happy, so glad to be here, my home, to see my mother, my brother, my family, my friends, that makes me proud and happy,” Adi told CNN at the airport. “At the same time, I feel so sad of what happened to me. I’m so sorry to tell you what happened is unjust, not right, and everyone back there knows that. What the Trump administration is doing is — you can’t even explain it,” said Adi. Adi lived in America for nearly 40 years. He has a wife who is a US citizen, and four daughters who are also US citizens. He owns several businesses in his adopted hometown of Youngstown, Ohio. A week ago, he was deported. For more than 20 years, his life has been a legal battle. But with the help of an Ohio congressman, he was able to remain in the US. That all changed when US President Donald Trump took office last year and doubled down on immigration. So, the government has been working on deporting this guy for 20 years? According to the story his legal status changed from greencard holder to illegal when he and his wife moved to Brazil for three years in the 90s. The story goes on that immigration officials felt the marriage was a sham (now evidenced by the term “ex-wife” in the story) and that the ex claims she did not make the marriage claim willingly. What a mess. But it is proof that the loopholes that exist in U.S. immigration laws are ripe for abuse. President Trump is right about that. And the marriage issue is one that does need to be addressed, even for those widowed when the American citizen in the couple passes away.